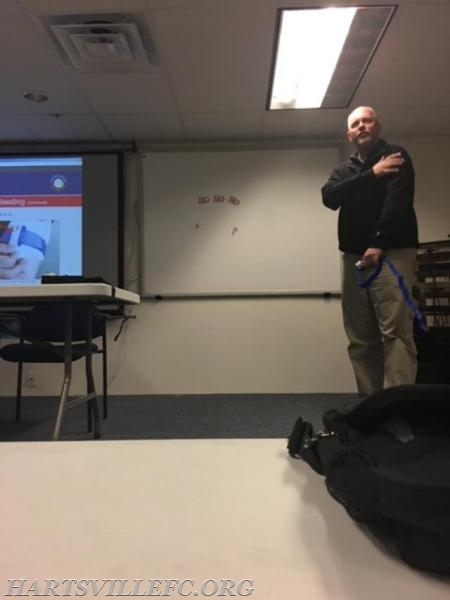 Dr. Ken Lavelle, medical director of Central Bucks EMS and Joe Hayes, Deputy Chief of Bucks County Rescue Squad, presented Stop the Bleed program to members of Hartsville and Warminster Fire Companies. 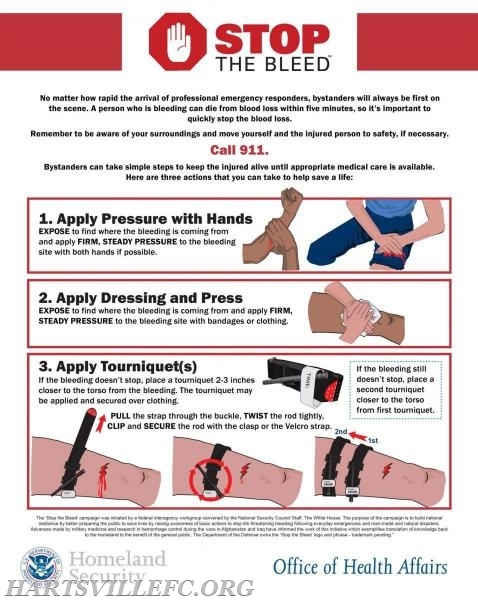 Stop the Bleed is a national awareness campaign and a call to action. It is intended to cultivate efforts that encourage bystanders to become trained, equipped, and empowered to help in a bleeding emergency before professional help arrives. Each member of Hartsville Fire Company was issued a commercial tourniquet for their gear at the conclusion of class.